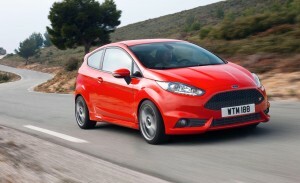 Sporty hatchbacks seem to be the car of choice for the majority of British owners. They look cool, they are practical and can be relatively cheap. The ‘hot hatch’ was brought to us by a team of Volkswagen engineers who saw the potential in the Volkswagen Golf, and after working on it in the early 70’s, they eventually produced the VW Golf GTI, which was the start of the Hot Hatch revolution. In honour we have compiled a small list of our favourite hot hatches. The Ford Focus ST hatchback is one of the bigger cars in the line-up but its extra size doesn’t compromise its performance in the slightest! 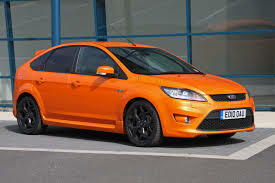 The Focus ST can hit 60mph in 6.5 seconds and offers a top speed of 154mph. As is the way with hot hatches the Focus is incredibly fun to drive but it offers a little more than the others in terms of space. Carrying passengers is made much more bearable not only because of the space, but also because it has 4 doors. For some this means the focus suffers in terms of sporty looks as a result. But we think it looks just as good as other hatches, and we’d rather not have our passengers climb over the driver’s seat. 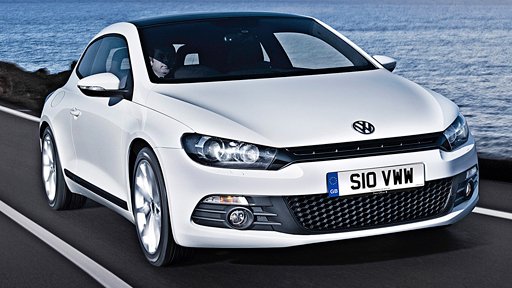 Technically the Scirocco isn’t a Hot Hatch, but it’s our list so we’re going to put it in! It looks the part anyway and it is superb. This is probably our favourite looking of the list; it is sleek, aggressive and unique. Furthermore it is an absolute thrill to drive, it handles well and is pretty pacey. It has received a lot of praise from reviews as it ticks all the boxes. For what it is the Scirocco has got a pretty appealing price tab which starts from £20,550 though you could save at least 5 grand by buying a second hand Volkswagen Scirocco. Another Ford and another classic. This is easily the most popular car on the list and for good reason. The Ford Fiesta ST has won numerous awards in the hot hatch category thanks to the excellent driving experience it offers coupled with its modern streamlined looks. The fact that is so fun to drive does mean that fuel prices are a little on the large side compared to some of the others in the class but it is a small price to pay for the pleasure the performance provides. The Seat Ibiza Hatchback is one of the main rivals to the Fiesta and the rivalry really heats up when we consider the SEAT Ibiza Cupra. Whilst it might fall short of the Fiesta in some respects you’d get a fair chunk off the price if you opted for the Ibiza over the Fiesta. 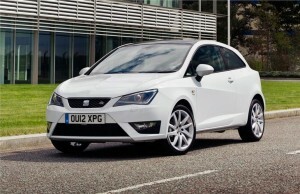 If you wanted to go cheaper still you can get a good deal on a second hand SEAT Ibiza online.